Helen is the workaholic Social Justice nut that commands Pride’s unrepentantly geeky Nerd-Herd with an iron fist. 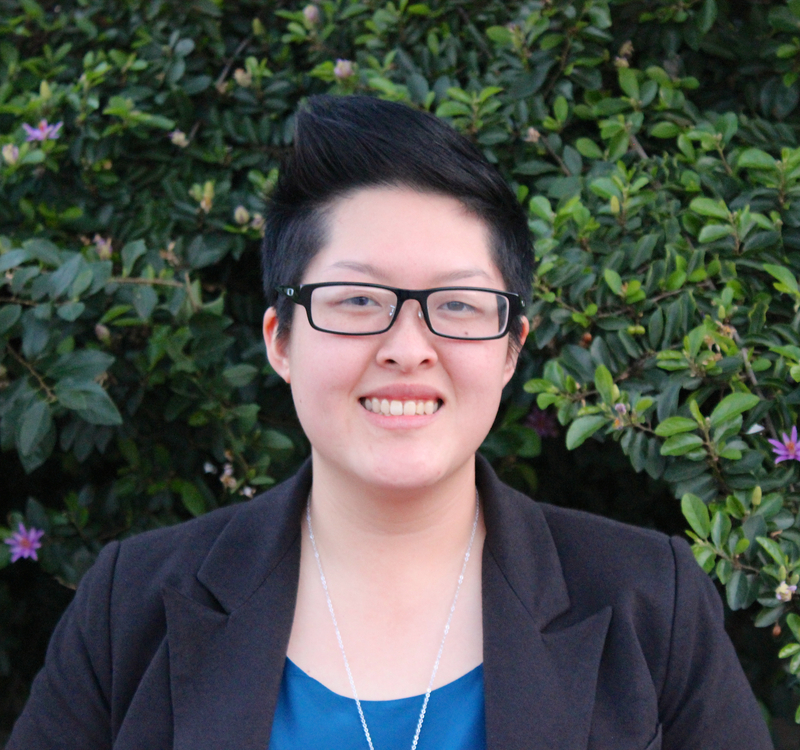 Translation: Helen Leung is the Operations Manager at San Diego LGBT Pride. She graduated from UC San Diego in 2012. She enjoys cheese, Star Trek, and making the world a better place. It’s the simple things, really. Helen was born and raised in San Diego, and has lived here for the vast majority of her life. 1) Helen, can you please tell us why you decided to stay connected and involved in the San Diego community and NAPAWF-SD? I stay because I want to engage with like-minded people who nurtured my desire to continue doing social justice work after graduating college. It’s tough to find similar API spaces in this city, so NAPAWF is a breath of fresh air. 2) Self-care is very important and oftentimes we forget to practice it when life gets busy. How do you practice self-care while balancing your job, your membership in NAPAWF, and your other community activities? Does eating an entire order of carne asada fries count? #kiddingbutnotreally. Up until a year ago, I wasn’t aware that self-care is actually a thing. Needless to say, I’m working on it. For me, creating a few non-work-related blocks of time throughout the week helps me push through busy season at Pride. I take yoga classes to calm myself down. I also cook for myself on the weekends. After Pride is over, I take a weekend off to catch up on sleep. 3) NAPAWF-SD’s first fundraiser of the year is a comedy showing of “18 Mighty Warriors.” Why do you think it is important to bring Asian and Pacific American issues to the mainstream, particularly in the entertainment field? I could go into an incredibly verbose explanation of why media representation has the power to shape dominant narratives about oppressed groups of people in ways that have material impact on marginalized communities, but in the end, it’s really simple. If all of our stories aren’t told, how can we expect others to see our humanity? Want to share a fellow NAPAWF member’s story and passion here?